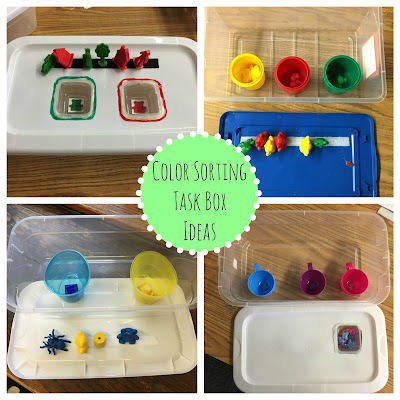 Color sorting boxes with color bears and manipulatives. I bought the cups and teacups at the Dollar Tree and used manipulatives that I already had in the classroom. 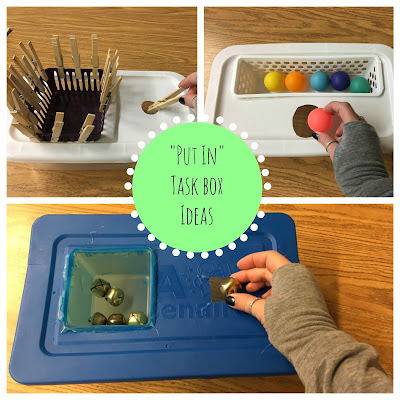 "Put in" task boxes are the simplest task boxes and are great for working on fine motor skills! 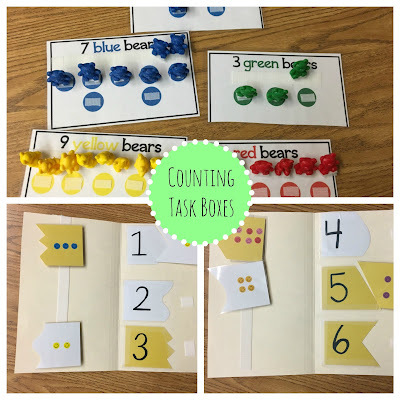 My students love the box with the bells because it makes noise. 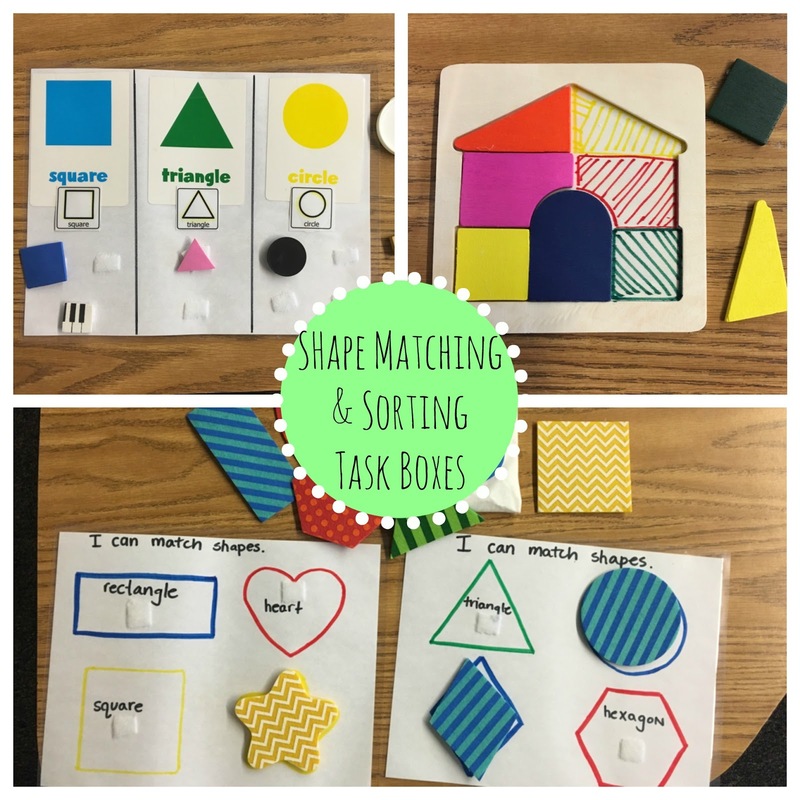 Shapes matching and sorting task boxes. I found the puzzle at the Dollar Store, I glued half of the puzzle as a visual prompt and added color shading as a prompt too. 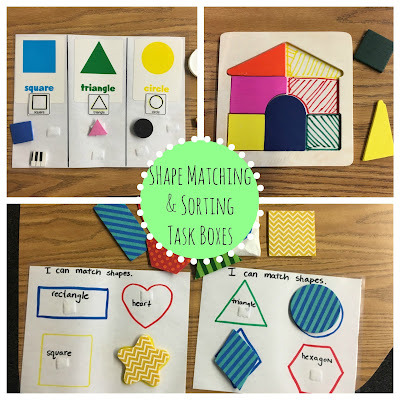 I found the fabric shapes for $3 at Target. Love these task box ideas! I'm going to start collecting plastic shoe boxes!